Since I love going to see Broadway shows, Chris and I often go see one as my birthday gift. New shows normally come out in April, so we hold off and go even though my birthday is the beginning of March. 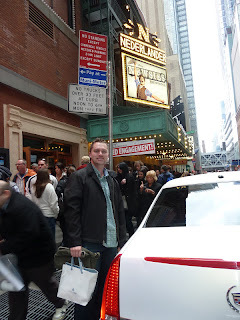 This year we went to see Newsies... and it was amazing! I would definitely recommend seeing it while it's out (it's only on limited engagement). David, Trisha, and the kids were supposed to come down to NJ for Easter this year, but the kids got pretty sick last minute, so they stayed in Rhode Island. Instead of a busy weekend filled with playing with the kids we had a relaxing weekend. Easter Sunday we had brunch with the Flinns at the Basking Ridge Country Club. The weather was absolutely gorgeous so after eating we were able to go out on the deck and enjoy the sunshine. That evening we headed over to my parents' house for Easter dinner. 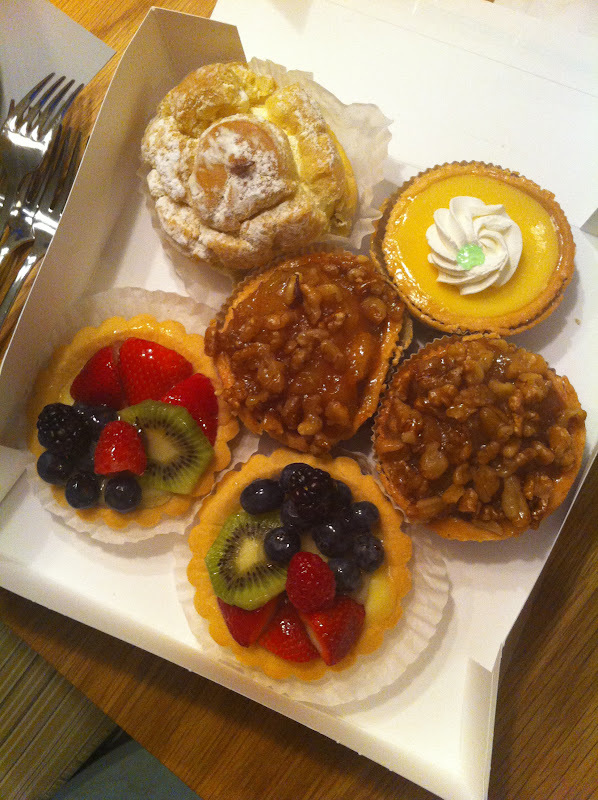 My mom picked up these delicious tarts to have for dessert... so yummy!